France and Germany assured Georgia on Thursday that a deal bringing it closer to the European Union would be sealed within weeks, moving to tighten ties with the ex-Soviet republic as tension mounts between Russia and the West over Ukraine. 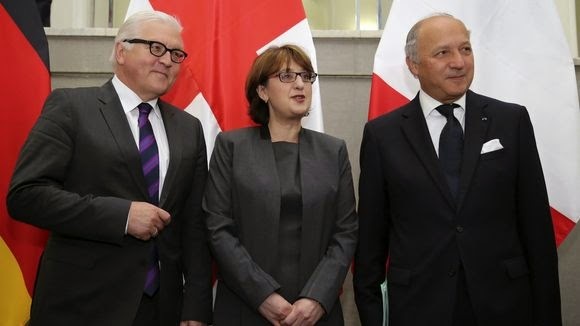 "I am sure that by the end of June the agreement will have been signed and that it is an important milestone in the history of Georgian and European relations," German Foreign Minister Frank-Walter Steinmeier said in Tbilisi. Amid the recriminations, there are concerns that Russia-Ukraine tensions are affecting Georgia in a different and potentially more alarming manner. A number of pro-Moscow demonstrations have taken place in recent weeks. Participants spoke out against Georgia’s plans to join NATO one day, and denied that Russia was occupying Georgian territory in the shape of Abkhazia and South Ossetia. The pro-Russia rallies are organised by the Eurasian Institute in Tbilisi and a group called The Earth is Our Home. Many political analysts in Tbilisi are concerned about where the movement has come from and where it is going. 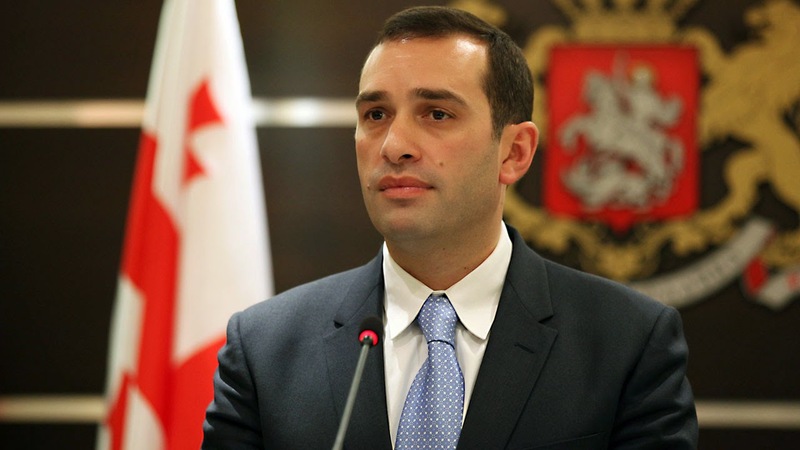 Defence Minister Irakli Alasania told IWPR that the organisations were funded by “those who wish Georgia ill”, but declined to be more specific. A bilateral U.S.-Georgia working group on democracy and governance under the strategic partnership charter between the two countries met on April 25 in Tbilisi to discuss Georgia’s democratic reforms. Deputy Assistant Secretary of State for Democracy, Human Rights and Labor Thomas O. Melia; USAID Assistant Administrator for Europe and Eurasia Paige Alexander and Department of Justice's Regional Director for Eurasia Catherine Newcombe were among the U.S. delegation. During the visit the delegation held series of meetings in Tbilisi with the Georgian leadership, civil society and opposition representatives. A convention on the legal status of the Caspian Sea will keep the sea free from any military facilities except of either Kazakhstan, Russia, Turkmenistan, Iran or Azerbaijan, according to nur.kz citing Kazakhstan's KTK Channel. 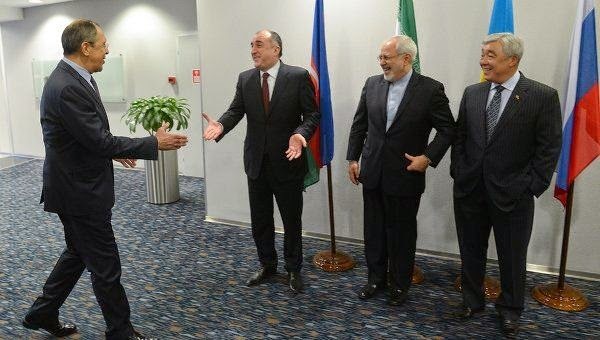 The accord was reached between foreign ministers of the five Caspian states at talks held in Moscow. As leaders across the former Soviet Union watch another predominantly Russian-speaking region of Ukraine demand independence this week, Astana is mulling legislation that would jail anyone who calls for separatism in Kazakhstan. Under a proposed amendment to the criminal code, Kazakhstanis could get 10 years in prison for making "illegal and unconstitutional calls for changes to the territorial integrity of the Republic of Kazakhstan,” Arman Ayaganov of Kazakhstan's Prosecutor General's office told journalists April 8, Tengrinews reports. Authorities in northwest China are offering rewards for anyone who informs on their neighbors for having too much facial hair. Officials in Shaya county, Xinjiang, have listed beards among the “potential hazards to society” residents should look out for and report to the government as part of a new campaign. Police authorities in Urumqi, capital of northwest China's Xinjiang Uygur Autonomous Region, have seized more than 400 imitation guns and 230,000 bullets. 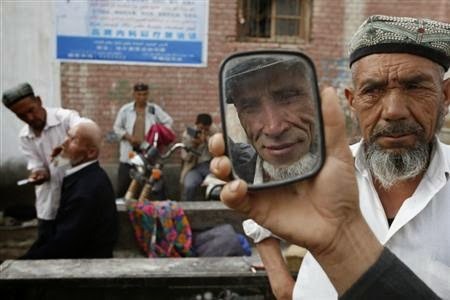 The results of our data show that 66 percent of respondents do not agree with the statement that “Poverty is the source of Xinjiang terrorist violent attack.” More than 85 percent think foreign separatist forces and religious extremist forces are the main sources of Xinjiang terrorism. In addition, 96 percent of respondents think the government should step up its fight against terrorism, and 69 percent think that the current ethnic policies need to be modified.